I've never been good with a crystal ball. My sense of what's coming in the world of wine is almost always grounded in experiences from the past. So I will approach 2011 with a short list of wineries to watch — wineries that I've only recently discovered, for the most part. All were impressive on the wine competition circuit in 2010, particularly in the competitions I am most closely associated with and supervise: Winemaker Challenge, Critics Challenge and Sommelier Challenge. 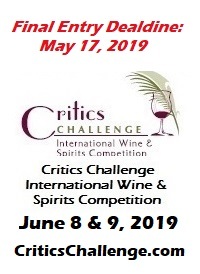 As you might have surmised, each of those competitions has a theme: the Winemaker Challenge judges are all accomplished winemakers; the Critics Challenge judges are all renowned wine journalists; and the Sommelier Challenge judges are professional sommeliers. When a winery emerges victorious from such expert scrutiny, I take notice. 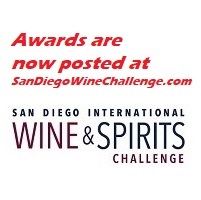 While there were many outstanding performers in the three Challenge competitions this year, I have culled my list of "Ten Wineries to Watch" from winners that are either from obscure wine regions or relatively unknown. Valdubon -- This winery near the banks of the Duero river was founded in 1997, making it a virtual newcomer in the context of the rich history of wine in Spain's Ribera del Duero. Many of Valdubon's top wines are not imported, but the Crianza and Reserva are widely distributed and represent tremendous value at $18 and $24, respectively. The 2003 Crianza made its biggest splash to date when it was voted Wine of the Year at the 2010 Sommelier Challenge and earned a gold medal at the 2010 Critics Challenge. The Reserva took a gold medal at both the Sommelier and Critics Challenge wine competitions. Deep Sea -- The owners are seven members of the Conway Family, who also own the Rancho Arroyo Grande brand in California's Central Coast region. Deep Sea is dedicated to appellations of coastal California, and the featured wines are produced from grape varieties that thrive in the cool west-to-east valleys of California — where the maritime influence is a driving force in terms of wine style. Deep Sea was barely on my radar when it swept five medals at the 2010 Sommelier Challenge, including a Best of Class Pinot Noir. Deep Sea also won two medals at the 2010 Critics Challenge. Jefferson Vineyards -- It is historical fact that Thomas Jefferson was among the first to bring vine cuttings from France and Italy and plant vineyards in the United States. It's probably safe to assume TJ preferred the French and Italian wines he took home with him to those he made at his Monticello estate in Virginia, but much has changed in East Coast viticulture since the time of Thomas Jefferson. Jefferson Vineyards is located on the same site commissioned as a vineyard by Thomas Jefferson in 1774. Restored in 1981, the vineyard produces exceptional Bordeaux-style blends and Mediterranean whites. The 2008 Meritage ($30) was awarded a Platinum medal at the 2010 Sommelier Challenge. Kilikanoon -- The proprietor/winemaker's name is Kevin Mitchell, and he founded Kilikanoon in 1997 with a property he had purchased in Australia's Clare Valley. I could tell you the Kilikanoon specialty is Shiraz (very, very good Shiraz) or Riesling (very, very good Riesling) but, truth be told, pretty much everything Mitchell makes is mighty tasty. The 2007 Killerman's Run Shiraz/Grenache ($20) and 2007 Killerman's Run Cabernet Sauvignon each won a gold medal at the Critics Challenge, and the 2006 Oracle Shiraz ($70) won gold at the Sommelier Challenge and silver at Critics. In all, Kilikanoon took six medals with five different wines. Korbin Kameron -- These are delicious wines produced from the Sonoma Valley side of Mount Veeder. Owned by Mitchell Ming, the winery is named after two of his children, Korbin and Kameron. 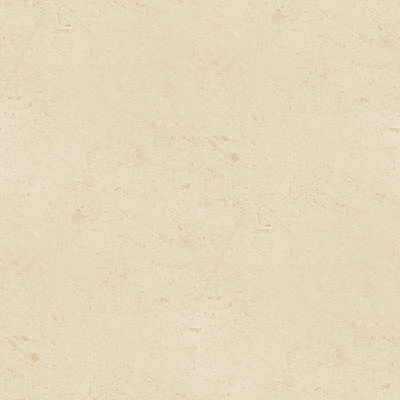 The site is special, but so is the winemaker. That would be Bob Pepi of Napa Valley fame. Pepi is no longer involved with the Pepi winery, which was sold several years ago, but he makes wines under his own label, Eponymous, and works as a consultant for a number of clients. Korbin Kameron entered three wines — 2005 Cabernet Sauvignon, Sonoma Valley ($40), 2005 Merlot Estate, Sonoma Mountain ($35), and 2006 Cuvee Kristin, Sonoma Valley ($50) — in both the Critics and Sommelier Challenges. The winery won a combined six medals: two platinum medals, three gold medals and a silver medal. Move that winery a few hundred yards to the east, so that it sits on the Napa Valley side of Mount Veeder, and you could just about double those prices. Penley Estate -- Winemaker Kym Tolley, who founded Penley Estate in 1988, is a descendant of Penfolds founder, Christopher Rawson Penfold. The winery is located in the Coonawarra district of South Australia. It crossed my radar in a big way at the 2010 Critics Challenge, when it swept a platinum and three golds from four wines entered. The big winner was the 2005 The Traveler Shiraz ($50) with a platinum award from judge Leslie Sbrocco. She also gave a gold award to the 2007 Hyland Shiraz. Gold medals also were in order for the 2008 Phoenix Cabernet Sauvignon ($20) from Michael Franz and the 2007 Condor Cabernet Sauvignon ($20) from Stephen Brook. Pianetta -- This very tiny winery produces fewer than 3,000 cases a year. Located l north of Paso Robles in the southern tip of Monterey County, it grows primarily Cabernet Sauvignon and Syrah. Most of the grapes are sold off to larger wineries, but since 2002, Pianetta has held back fruit for its own production. It made its debut in the Challenge wine competitions at the 2010 Winemaker Challenge, where both the 2007 Petite Sirah ($30) and the 2007 Bilancio (Cabernet/Syrah blend, $35) took platinum medals. A third wine, the 2006 Cabernet Sauvignon ($28), won a gold medal. Three Rivers Winery -- You could virtually take a map of Washington wine country, throw a dart and randomly hit an up-and-coming winery. Located in Walla Walla, Three Rivers Winery specializes in the Bordeaux grape varieties. The winery was founded in 1999. I had not heard of Three Rivers Winery before it entered six wines in the 2010 Winemaker Challenge. From those six entries came three gold medals and three silvers. Considering the caliber of the scrutiny (all Winemaker Challenge judges are, naturally, prominent winemakers), I was extremely impressed with the performance of Three Rivers. Goose Watch Winery -- As with Washington, you could take a map of New York's Finger Lakes and throw a dart and almost certainly land on an incredible winery. Goose Watch, founded in 1997, is merely one of many Finger Lakes wineries that have done well at the Challenge competitions in recent years. For example, six Goose Watch wines were entered in the 2010 Winemaker Challenge and all won medals, including a platinum medal and two gold medals. The wines are very difficult to find outside of upstate New York, but you might want to consider a visit if you ever tour the Finger Lakes wine region, as the winery overlooks Cayuga Lake. De Tierra Vineyards -- Proprietor Tom Russell initially set out to find the perfect property to grow Merlot. That was before the bottom fell out of Merlot popularity. He settled in Monterey County near the Santa Lucia Highlands and Carmel Valley. Now he grows Merlot, Syrah, Chardonnay, Pinot Noir and Pinot Gris. The first vintage was 2001, but I first came across the wines at the 2010 Winemaker Challenge, where De Tierra made a spectacular showing — winning platinum medals with its 2006 Silacci Vineyard Pinot Noir ($32) and 2008 Chardonnay ($20), a gold medal with its 2005 Estate Merlot ($35), and a silver medal for a 2005 Monterey County Syrah ($20). To find out more about Robert Whitley and read features by other Creators Syndicate writers and cartoonists, visit the Creators Syndicate website at Creators.com.